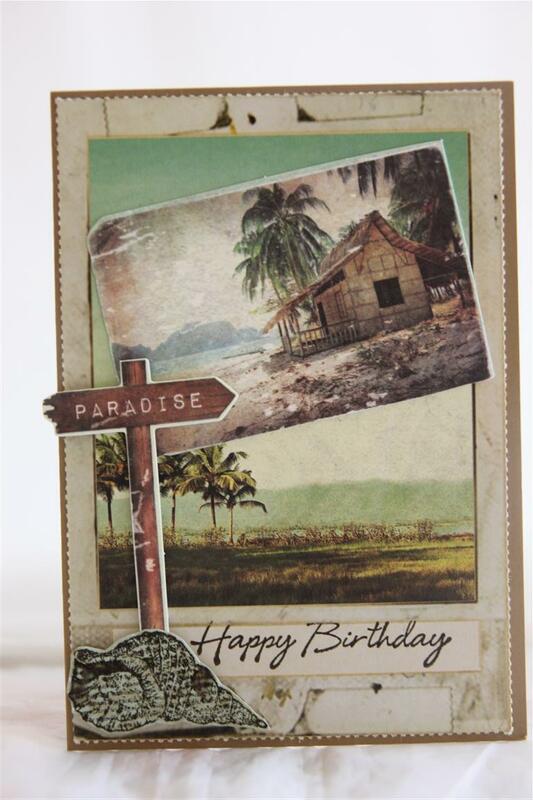 Two cards tonight, and we will do the same tomorrow night to finish off this range – Kaisercraft paradiso collection – still the same 12 x 12 paper, and some collectables added to them. 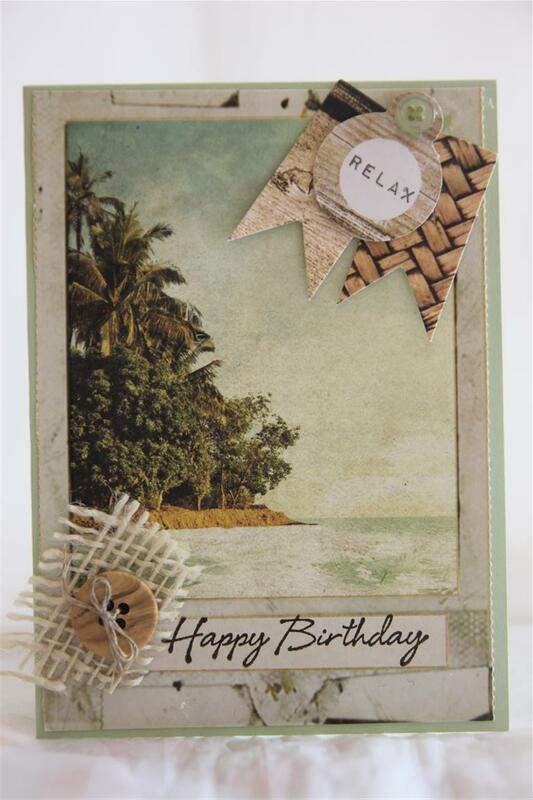 the top card has a seashell that I stamped and fussy cut . I made good use of the banners on the collectables pack by clustering them in the top left hand corner. Til tomorrow…. 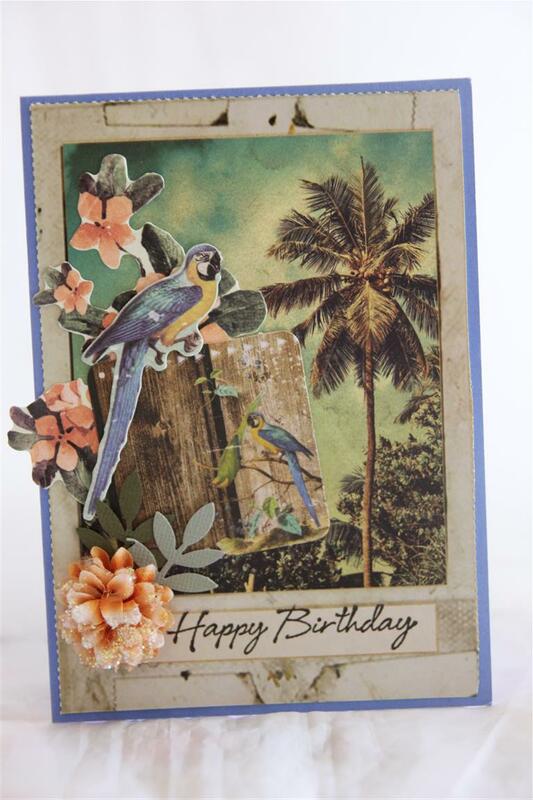 card number 4 using Kaisercraft Paradiso 12 x 12 sheet and a couple of the matching collectables. 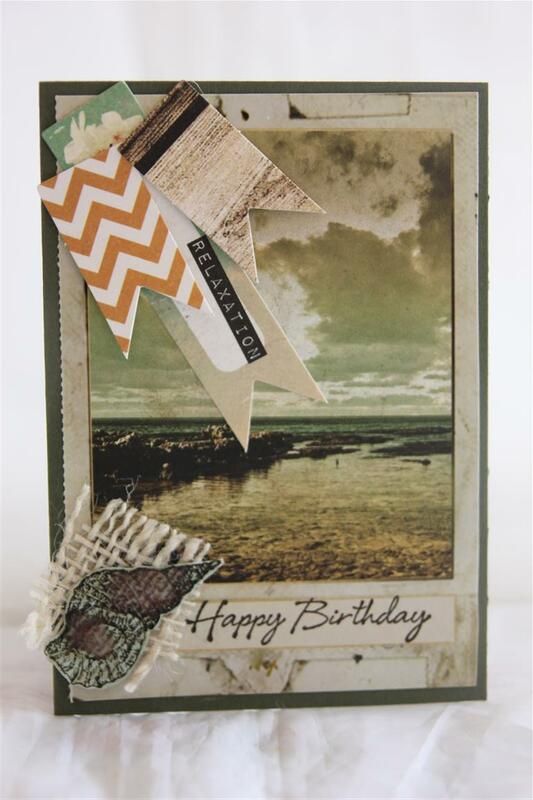 I made the card base with stampin up cardstock. 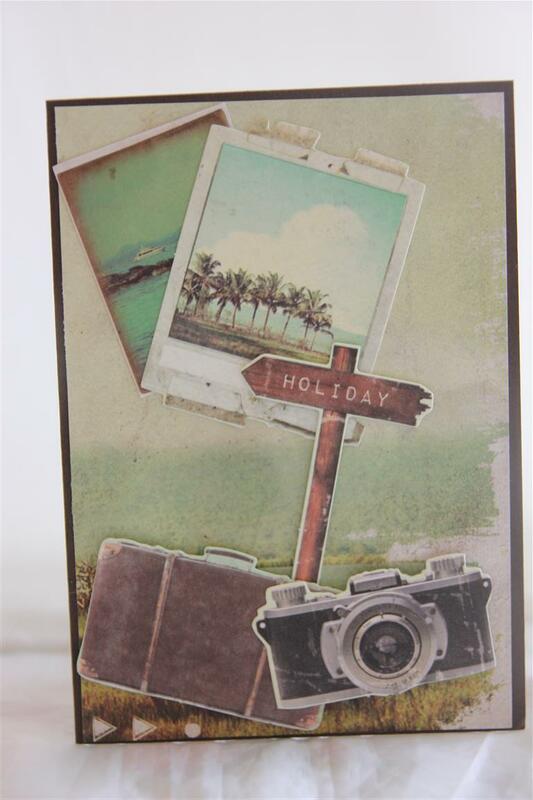 I love the images on this sheet of paper – they are glossy which doesn’t show in the photos, and perfect cards for the weather we have just now! 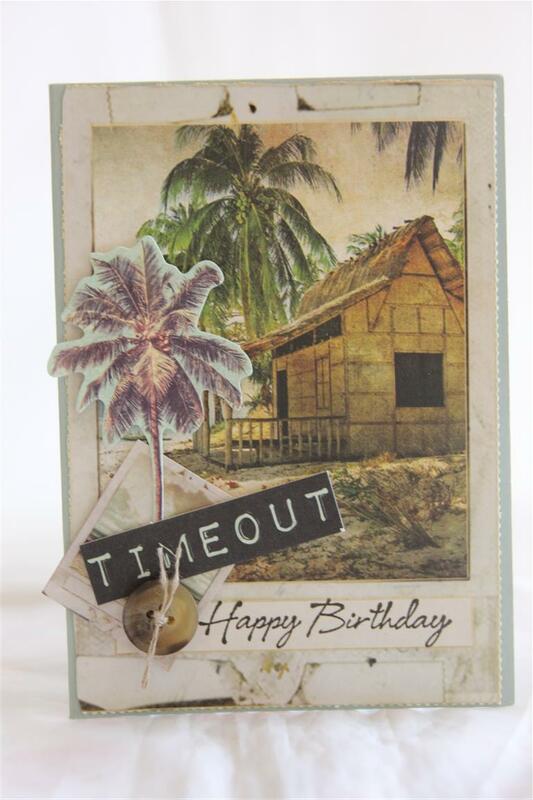 Til tomorrow…..
Another beach themed card using Kaisercraft Paradiso 12 x 12 paper and a couple of the matching collectables.just added a button tied with twine on this one.Today has been productive – i have made a start on my baby cards – got 4 done this morning while my roast was cooking, and this afternoon i took a break from baby cards and made a few little boy space men and rocket type cards.now I am off to find a home in the craft room for my box of prima goodies! til tomorrow…. 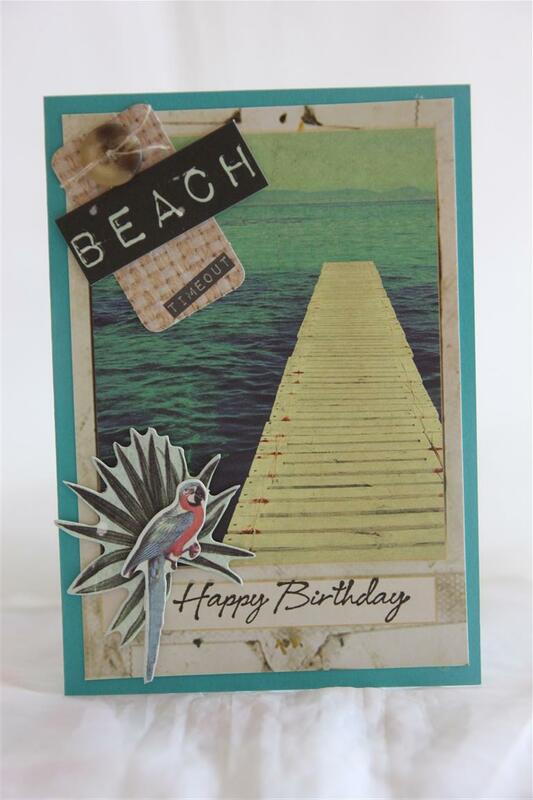 As the weather in some parts of Australia is so hot, I thought it only fitting to post some beach cards. Luckily for us here in Adelaide the weather hasn’t been quite so hot, today has been lovely, but all the same I do feel sorry for those suffering the heat. 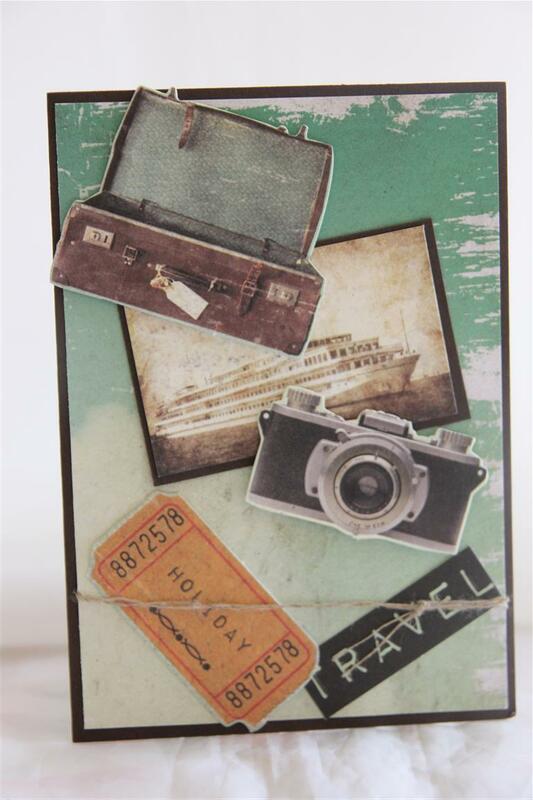 The paper collection featured for the next few days is a release from last month by kaisercraft called Paradiso, and the main images on the cards all came from one of the 12 x 12 sheets. Thrifty crafting at its best because I made 6 cards out of this sheet! All I added here were a couple of buttons and some twine and a few of the matching collectables. The cardstock is some retired stampin up cardstock.This weekend I am working on some baby cards to replenish my market boxes. Til tomorrow….